If you’re after a gift idea for a keen home cook, then they are a lucky person. But YOU are also pretty lucky yourself. Why? First, home cooks are great people to know. You never know when you’ll be treated to their latest kitchen creation (especially if you’re buying them a gift). Second, home cooks ALWAYS need something new for their kitchen, so they’re easy to buy for. Third, you’ve found this fabulous list of 15 gift ideas for home cooks. Practical and pretty is always a great combination. Baste your meat and brush your pastry in style with this handmade wood burned brush. 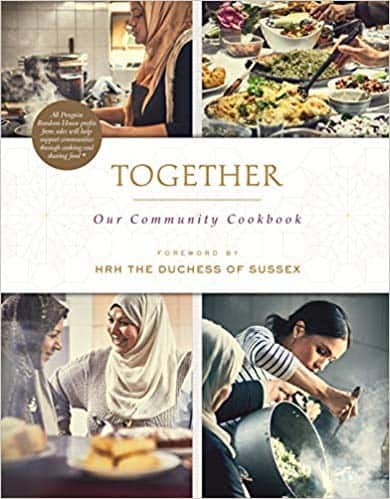 This charity cookbook is packed with more than 50 delicious recipes, and is a celebration of community, healing and wonderful traditional cooking. 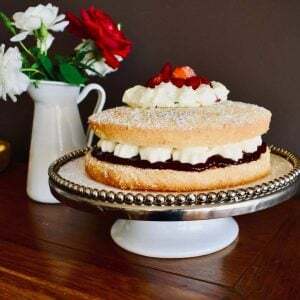 I bought it as soon as it hit the shops late this year and I’ve already flagged a few favourites, including Fennel and Orange Salad, Algerian Sweet Lamb and Russian Semolina Cake. These reuseable cupcake cases will deliver everyone’s favourite treat all year round. They’re also easy to clean, 100% food-grade silicone, and BPA free. The big supermarkets have introduced policies to cut plastic bag waste. It’s nothing new – it’s simply shopping like our nanas used to shop! Hit the shops like a Nana with our two-tone deluxe cotton shopping tote. This is the cookbook on my Christmas wish list this year. I’m a huge fan of Reese Witherspoon and in this book she shares her grandmother’s favourite recipes and Christmas traditions from the south of the US. These embossed rolling pins will turn your plain biscuits and icing into something special. Simply roll out pastry or icing in the normal way and use the embossed rolling pin as the final step. These wooden pins are high quality, made in Poland, and there are a range of designs to choose from. What do you buy a home cook who’s also a mad Harry Potter fan? The Unofficial Harry Potter cookbook, of course. From Cauldron Cakes to Pumpkin Pasties, this cookbook may even appeal to the muggles out there. Ive had one of these for years and love it. It’s perfect for organising the recipes you rip from magazines and newspapers along with your own handwritten recipes. Even the biggest kitchen seems to run out of storage room. Buy back some storage room and add a splash of colour to the kitchen with this handy nest of goodies. Nearly 1,000 recipes make this the home cook’s “bible”. 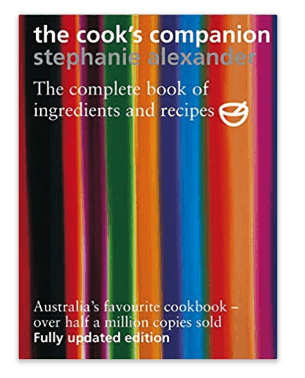 First published in 1996 and organised by ingredients, it’s my “go to” cookbook when I need to use up an ingredient in the fridge. These beautiful boards are handmade in Australia from Camphor Laurel sourced locally from Northern NSW. Personalised design options are also available from the seller. This 35.6cm cake stand is hand made in sand-cast aluminium with a blend of enamel infused with crushed mother of pearl. A magnificent way to show off your cake creations. The KithenAid stand mixer consistently gets rave reviews (and I’ve recently joined the chorus). Could it get any better? Well, yes it can. They’ve released it in this gorgeous GOLD limited edition colour. Made of stainless steel, this basket is perfect for fruit, bread or just used as a decorative piece in the kitchen or dining room. Its design is inspired by the peel from an apple. These finely crafted set of pewter measuring spoons are displayed on a Vermont hardwood rack with pewter leaf hooks. The set includes a tablespoon, teaspoon, 1/2 teaspoon and 1/4 teaspoon. Can’t see the perfect gift here? Head over to the Cooking with Nana Ling Shop for more great gift-giving options.